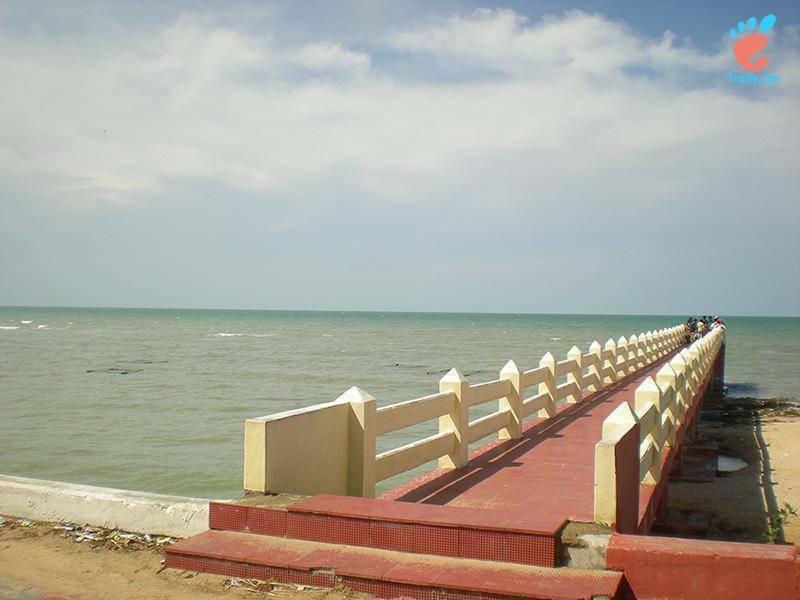 Villondi Theertham is located on the route to Pamban. The word Villondi means "Buried Bow". This is the place where Lord Rama buried his bow after rescuing Goddess Sita. In order to provide water for Goddess Sita to slake her thirst, Lord Rama hit an arrow in the sea from where pure drinking water came out. Even tourists can taste the water in this Theertham which is sweet amidst of salty sea water.